You has received a lot of messages from an email address in your Ymail mailbox, this makes you uncomfortable when the important emails are pushed down. In this article, we’ll show how to block an email address in Ymail. If you have accidentally deleted important emails in your Inbox, do not worry. You can refer to our instructions on How to restore deleted emails from Inbox in Ymail quickly. You feel annoying when there are so many advertising messages sent from an unknown email address to your Ymail. When you check the Inbox, the important emails are pushed down then it take you much time to find them. Follow some simple steps below to block any email address in Ymail. Step 1: Go here . Sign in to ymail account. Step 2: Once logged into Ymail, click on the gear icon and click Settings. Step 3: In the window that appears, select Banned Addresses, then enter the email address you want to block in the Add an address box and click to block this email address. You can block up to 500 email addresses. Step 4: Click Save to save the settings. Thus you have successfully blocked an email address in your Ymail. 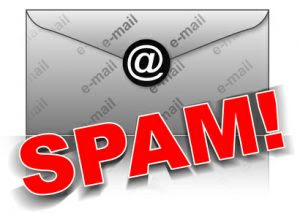 We just guide you how to block an email address in Ymail. Hope the post useful for you in the process of using Ymail.